Many bloggers have a series highlighting things they like, and since moving to England, I’ve acquired quite a few favorites that I’d like to share. So, in what is now about 43rd attempt to get back to blogging, I’d like to start a similar set of posts. The first in this series is a locally-inspired one. Oh. My. Goodness. If you live in West Yorkshire, get yourself to one of their stockists immediately. 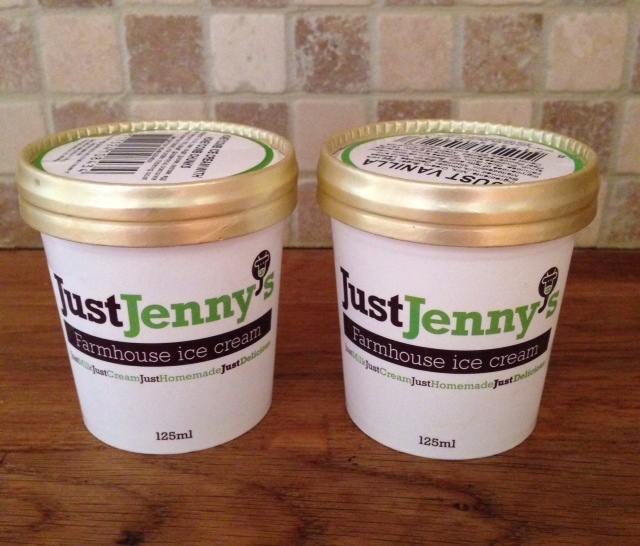 About a month ago, I was at our local farm shop and noticed the mini tubs of Just Jenny’s in their freezer, so I picked up two for Richard and I to enjoy that evening as an after dinner treat. Richard loves his vanilla ice cream, so I went with the Just Vanilla for him and I decided to try the Honeycomb flavor. His response, “How have we never tried this before? !” Honestly, this ice cream is incredible! Richard and I have come to the conclusion that we will always have Just Jenny’s in our freezer for visitors from here on out. If you check out their web site, you’ll see that the ice cream is made from milk and cream from the cows on their farm in Barkisland, and they only use natural flavors and locally-sourced ingredients. You can’t argue with that. This ice cream is the real deal. As I mentioned above, I discovered Just Jenny’s at our local farm shop. Farm shops are something special. There are a few farm shops near us, but our favorite is Far Barsey Farm Shop in Barkisland. All of their beef is raised from their own herd while the other meat and poultry they sell are raised locally. We bought our Christmas turkey as well as our bacon and sausage for Christmas breakfast from them. And that Tour de France party we had? All of our burgers and sausages were purchased at Far Barsey. We had a vegetarian in the group, so I picked up a cheese and onion quiche for her and she raved about it’s deliciousness! Some of my favorites from Far Barsey are the mango and chili marinated chicken, the Figit Pie (filled with pork, sage, and apple), and their bacon and sausage. Okay, I basically love everything from there. Everyone who works there is so nice as well, which makes visiting the shop an even better experience. The Larder is located in Ripponden and has become a Saturday morning breakfast staple in our house…sausage and egg with brown sauce on ciabatta for Richard and bacon (well done), avocado, hold the red onion, and light mayo on a granary baguette for me. (Leave it to the Yank to request a lunch sandwich for breakfast!) Their lunch sandwiches are incredible as well, and their selection of deli salads, meals, and side dishes (all made in house) are delicious. 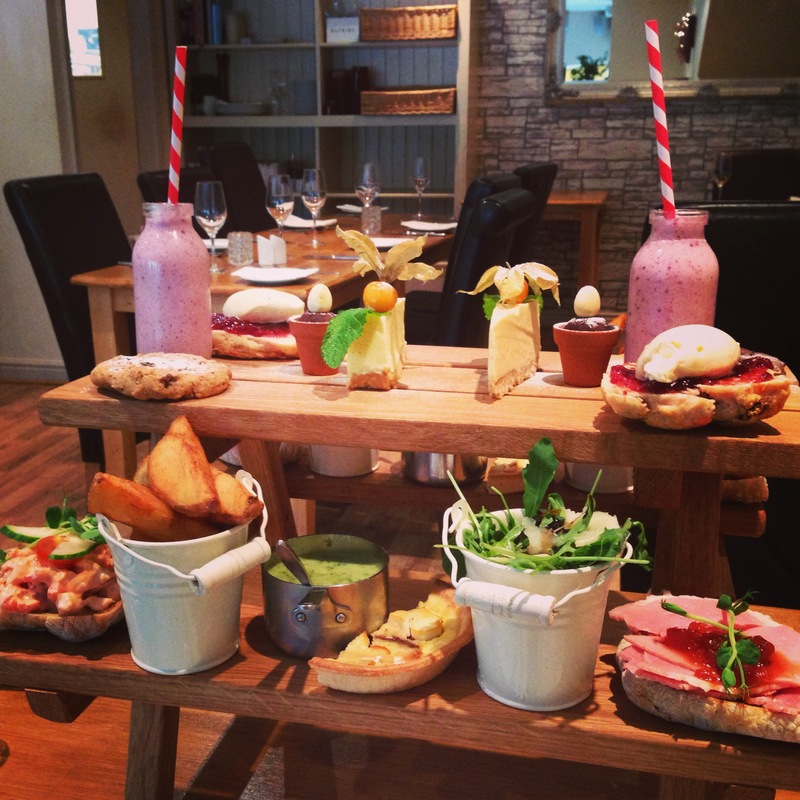 You can walk into The Larder without a clue as to what you are having for dinner that night and walk out with your entire meal as well as homemade bread, cheese platter, and wine sorted. It’s amazing the deliciousness they have been able to fit into such a small shop. And like Far Barsey, the staff are always friendly. If anyone reading is local, I hope you’ll check out some of my favorites…if you haven’t done so already! And, if you are ever in the area, definitely add these to your list of must do’s!